EAS Senior Director of Pharmaceutical and Medical Device Services, Bryan J. Coleman, has 24 years of experience in FDA Investigations, OTC pharmaceuticals and tobacco quality and compliance, including various management roles with responsibility for regulatory compliance, quality assurance and multi-site audits and FDA inspections management. Immediately prior to joining EAS, he was Senior Manager of Quality Programs and Projects at Altria Client Services in Richmond, VA. Prior to Altria, he spent nearly 14 years as the Director of Quality and Compliance for Research and Development at Pfizer Consumer Healthcare. Bryan’s five years of FDA experience began as a chemist in the Buffalo District and later as a consumer safety officer (CSO/Investigator) with Baltimore District where he performed a wide variety of field inspection work, including inspections of finished pharmaceutical and API (Rx/OTC/Veterinary Medicines) firms for general GMP and PAI purposes, BIMO/GCP inspections, medicated animal feed operations, medical devices, cosmetics, food and dietary supplement manufacturing, packaging/labeling and distribution facilities, as well as product complaint and recall surveillance activities. Bryan was also a member of the FDA’s Foreign Inspection cadre for drug inspection work. He has practical industry experience with pharmaceuticals, medical devices, dietary supplements and tobacco products/processes in the areas of development, improvement, and implementation of sound Quality Systems that are efficient, sustainable, and compliant with FDA regulations. He has also performed mock FDA inspections, gap-analyses, and contractor facility audits. 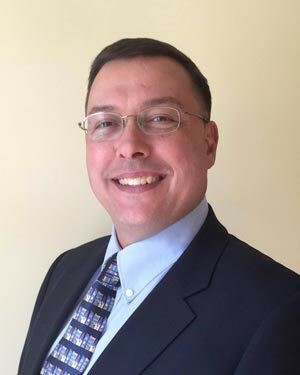 In addition to his professional quality and compliance experience, Bryan has over 27 years of service with the Army National Guard in both reserve and active duty tours and is currently a Colonel serving as the Director of Joint Operations for the Virginia Army National Guard.